The latest synthetic fabrics make great, super-light luggage that is hard-wearing and yet looks sleek. 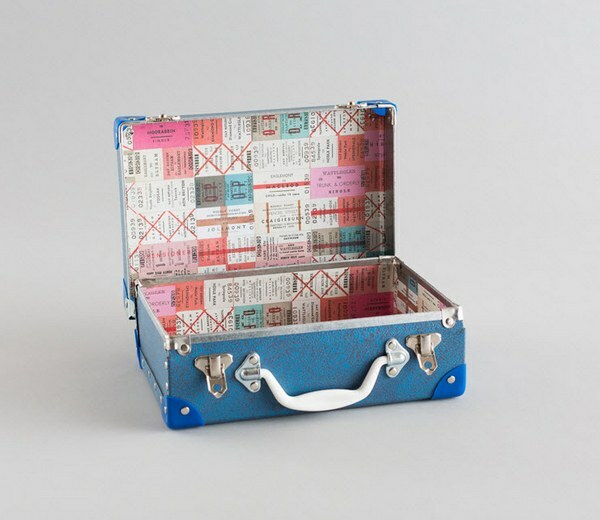 However, there is something beautifully nostalgic about old suitcases – the clickity-clack of the metal clasps, trademark corners and trims, leather hinges and contrasting lining fabrics for a burst of colour – which is why this Australian designer has won my heart (and it’s for more than simply luggage). 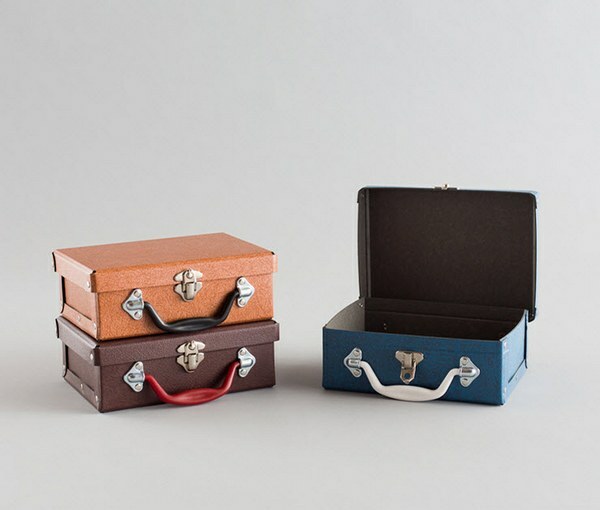 Trunk & Orderly pays tribute to iconic suitcase design with a range of fibreboard cases, storage boxes and furniture. The small cases give kinder kids a vintage edge and the sets of drawers are perfect for nurseries with either a modern or vintage feel. But it’s the charming story behind Trunk & Orderly that will seal the deal. 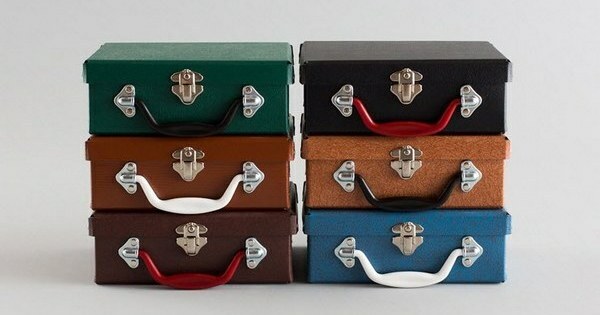 Trunk & Orderly began many years ago when Joel Adams (whose background was in sculpture, cabinetry and product design at Crumpler) came across two unusually shaped, red fibreboard cases by chance in the back of a North Melbourne office surplus shop. Joel had a growing collection of vintage cases, and as a cabinet maker had once fitted out a shop with cases as display tables. Joel searched for the brand on the label – Everlite – and found that they still operated, and were local. Fast forward five years and Joel was again rummaging for treasures, on an online auction site. He came across some interesting looking old machinery and visited the seller – it was John Eland, third generation case-maker of the Everlite Travel Goods company. It turned out John was selling up his entire factory of case-making equipment and the stock – aged in his 80s, offers from developers for his factory on the Darebin River in Thornbury were too good for John to pass up. Everlite was retiring. Or was it? Joel was on the lookout for a new venture and after nutting out a plan with partner Anna, they made John an offer. This was no ordinary sale – over the following months, John helped Joel learn the suitcase-making craft and move the machinery and materials to Ballarat, where Joel is based. And so Trunk & Orderly began. 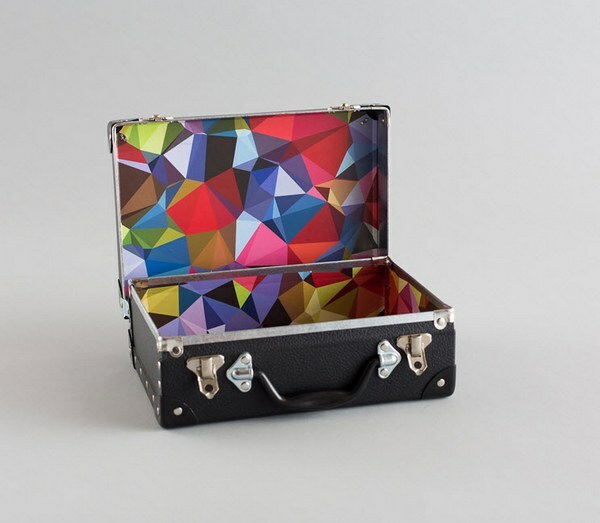 Trunk & Orderly offers a range of suitcases and storage units in various designs – they’re available as off-the-shelf designs or can be fully customised if you have something particular in mind. The pieces are made from fibreboard, which is a compressed board product designed for durability and strength, and has been used by case makers for over a century. Much of the fibreboard and hardware used in Trunk & Orderly’s production is the original and authentic UK vintage stock. Each Trunk & Orderly product is individually handcrafted in Ballarat (by Joel himself). Prices begin at $40 for a lunch case and $85 for a kinder case, ranging up to $225 for a Weekender suitcase – choose your colour and your lining fabric. 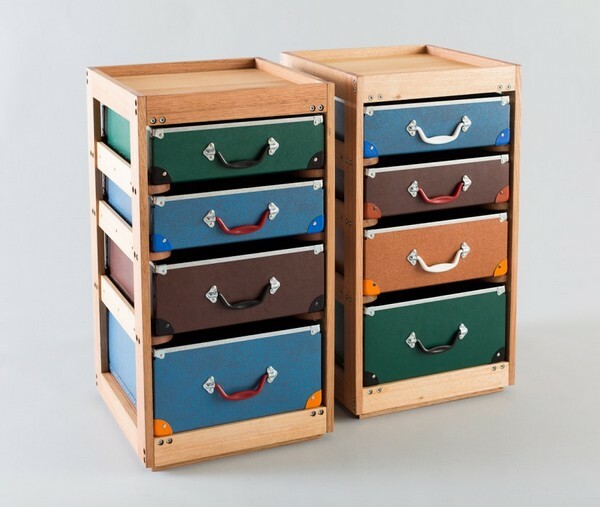 Sets of drawers begin at $750 each and are made from either superb Victorian Ash hardwood or steel for a more modern feel, with drawers in your choice of colour. Trunk & Orderly is available online or from a number of stockists around Australia.